The news was shocking to me and I bet it was shocking to the world as well. 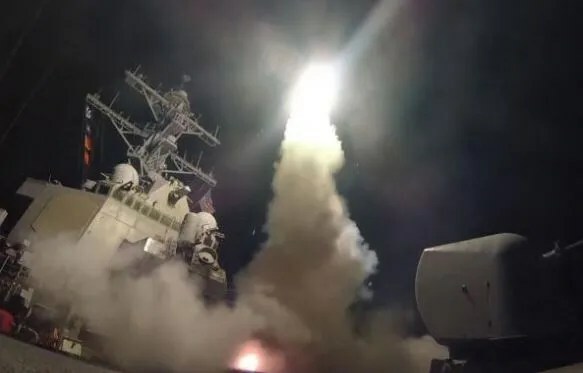 Trump has ordered a missile strike on Syria Thursday. I read on Bloomberg that his move has shaken world markets. U.S. stock index futures slump after his action. Global oil prices jumped more than 2% on Friday on news the U.S. launched a cruise missile attack on Syria. The missile attack does not seem to have much impact on Singapore stock market. 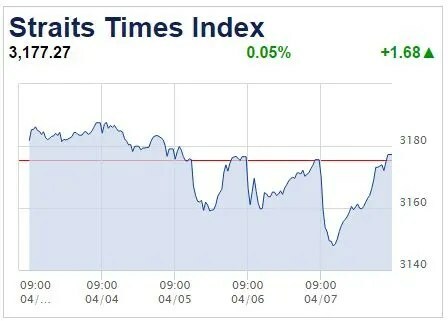 As you can see from the chart below, the Straits Times Index still gained 0.05% which proves that the stock market can be irrational. 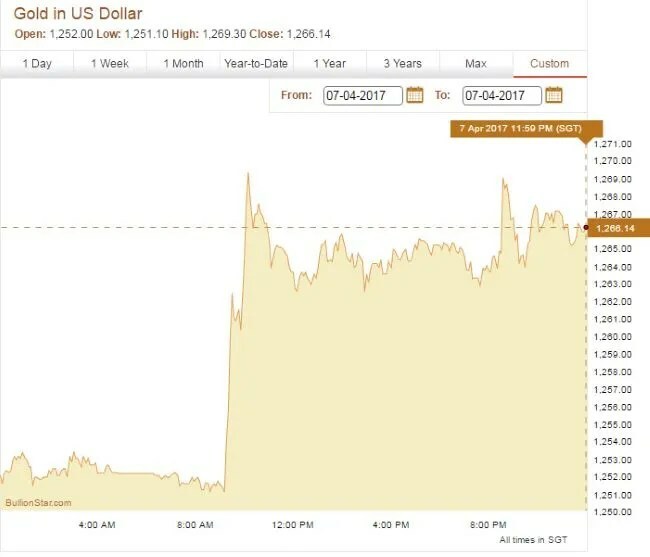 Trump’s action seems to have a significant impact on gold prices. As you can see from the chart I gotten from Bullion Star’s website, there was a significant spike in gold price. This proves that everyone still thinks gold is a safe haven in times of uncertainty such as a war outbreak.